Blues boss Paul Hurst says claims that owner Marcus Evans is sounding out other managers is “hearsay” as far as he is aware and is something he has “no control over”. Hurst also said he is yet to speak to Evans since Saturday’s 2-0 home defeat to QPR. Former Town skipper Matt Holland said on talkSport yesterday that he had “heard that Marcus Evans has spoken to other managers and there’s a possibility that something might change”. When Holland’s comments were put to Hurst, he said: “Again if that’s what’s happening then I’ve got no control over that so to my knowledge that’s kind of hearsay. “If it’s happened only a couple of people will be the ones that know whether that’s true or not. Asked how he was finding the pressure, Hurst said: “The pressure comes from myself more than anything. The noise from other areas is something that is part and parcel of being a football manager, but realistically, I put more pressure on myself. “Is it ideal? Of course not, we know that, but at the same time I’ve just got to concentrate on the job in hand. “If I listened to every opinion we’d never, ever put a team out because everyone’s got a different opinion on who should play or what formation we should play, everything. Given the situation with the Blues bottom of the league having won only once this season, is he dreading coming to work each day? “No, of course not. I’ve said before, this job, whether it’s going good, bad or indifferent is a good job. “It provides its difficulties, I knew some of those going into the job. I’ve probably learnt more things along the way. 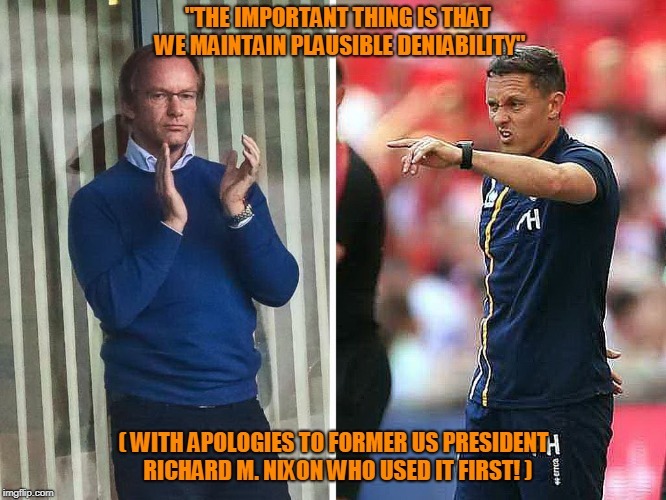 Until such time as a decision is made on PH’s future I think it is unprofessional to bandy hearsay around and expect the manager to directly comment on this. Sure ask him if he is concerned about his future, I think any intelligent person will know that there will be a time when if results don’t improve then a change has to happen. Working in the media I think Matt Holland is entitled to make comments on the current plight but wish he wouldn’t have said the he has heard that ME is talking to other managers. That may well be the case but we don’t know that ME doesn’t seek “independant” views from others in the game regardless of the current situation. Doesn't look like he's coping with this division. "X amount of influence.... they're the one that go out and perform, are they carrying out exactly what you're asking them to, or are they inhibited.......the spending power makes it more difficult....to make up for everything that leaves you short of.. everything else has to (therefore) be on point"
His relaxed demeanour seems at odd with our situation. He doesn't have an approach that adds magic to the club. 2 - 5 more games left, he needs 6 points at least from them. Lets be honest if Evans isn't at least looking at who is available should the situation not improve quickly then you'd have to question his competence as a businessman! I feel bad for him but I really cant see the situation improving. Evans is killing this club. He thought he could bring in a cheaper manager with a reputation for working on a shoestring budget. Mick Mc did a great job of making us look OK with zero financial support but just look at the trajectory of every aspect of this club since ME bought it - attendances, entertainment, everything is heading in the wrong direction. Time for the apathy to stop, if you care about this club it's time to stand up. We have three big games coming up against Preston, Millwall, and Reading and a free hit against Leeds. I hope that Hurst is given at least those games to get some results. I don't think the supports on the whole understand what a huge job it is to totally change the style of play and build a new team. This year was always going to be about bedding the team in, however we do need to stay up still. It's all about whether we are showing positive signs. I was totally supportive of the team before we got our first win. Against QPR it was worrying how we surrendered. I really want Hurst to be successful. I can't blame ME for thinking of contingency plans. Steve Bruce is still available, isn't he? Yes he has made but mistakes but give him a chance. He's been at the club for 5 minutes, he can't be a bad manager if you look at his track record. You would like to think Evans gave him very clear feedback. I’ve little doubt he would in any of his other business. Message should read ‘nowhere near good enough’.